2. Heat the ghee in a pan, fry the cashew nuts and dry grapes till cashews become golden color. Keep it aside. 3. Steam cook the riceflakes for 3 mins. 4. Heat the jaggery in a pan with ½ cup of water. 5. When the jaggery dissolves completely, switch off the stove. 7. Mix the steam cooked rice flakes with the syrup. Then add the fried cashews and dry grapes. Mix them well and serve it hot. 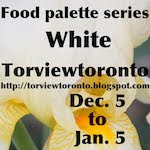 It is a very healthy food and has more nutrients. This is advisable for those who want to reduce their weight as it has 0% cholesterol and alcohol. 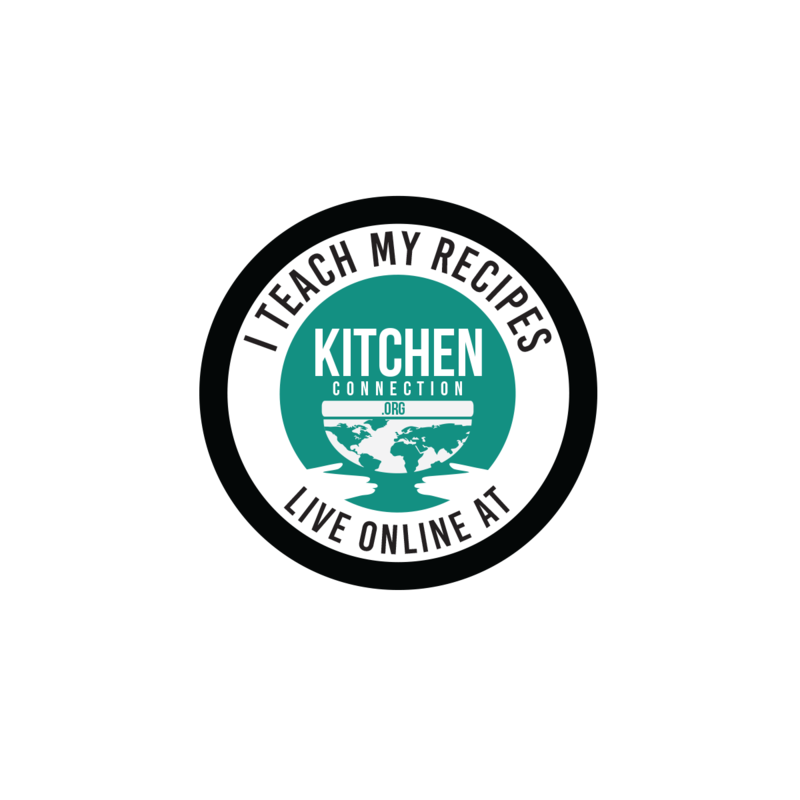 Click here to view recipes with Rice flakes . 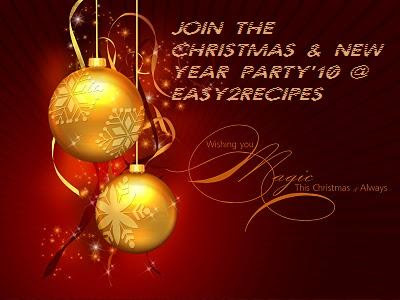 I am sending these to my own event Pongal Feast Event and Christmas ,New Year Party event by Shama and Food Palette series White by Torview. 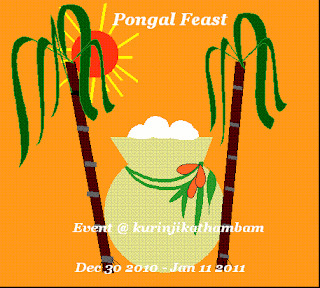 The pongal looks very appetizing! Looks healthy - AND delicious! I hope you're right about the weight loss! delicious, like it very much. Yummy! Wishing you and family a Happy & Prosperous New Year! 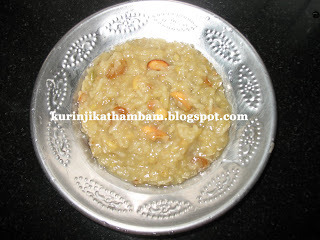 yummy pongal...lovely dish for the New year!